We need protein to make the amino acids that manufacture our hormones. Without protein women can’t be hormonally healthy. However, so many of the new and popular diets are either extremely protein-heavy or they ignore protein altogether. We do need protein, just not as much as you might think. 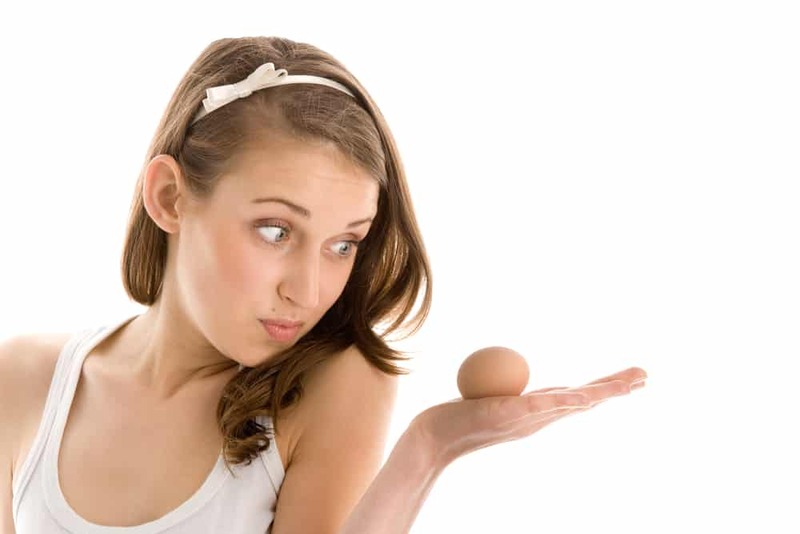 A lack of protein causes us to age prematurely, both in how we look and feel and in terms of our biological age – our eggs and fertility. Different bodies need different kinds of protein and at different times of the cycle. You have to experiment to find your perfect protein prescription. My friend, Alex Jamieson, author of the new book Women, Food and Desire was vegan for 13 years before she realized that, for her personally, avoiding meat and animal products entirely was doing harm to her health. Her book is all about how listening to your body can lead you to feeling great. Alex found her hormonal health issues were down to a lack of protein and her body told her to remedy this by eating meat again. She did, and she felt much better for it. If I could be vegan, personally, I would for ethical reasons. But my body just can’t absorb the amino acids in vegan protein sources very well. This is true for a lot of us. If you do choose to be vegan for ethical reasons, I totally get it. However, you shouldn’t do it to try to lose weight. There are plenty of understandable ethical reasons to be vegan that I respect and it is certainly possible to find non-animal sources of protein to fill this gap (more later!) if that’s the lifestyle you choose. However, if you have been trying to be vegan as a health experiment, excellent – you just may need to keep experimenting with protein until you find the combination that makes you look and feel amazing, vital, and gorgeous! Finding your perfect protein prescription – it’s about your hormones not dietary theories! I have tried everything! I’ve tried being vegan, raw, and I’ve also tried just eating eggs, only cutting out red meat, and eating only fish. I experimented for a long time with proteins before finding a way of eating that worked. I played around with the protein in my diet to find a good match. The thing is, different bodies absorb protein differently. But more importantly, it was my cycle that led me to understand finally how to balance the protein equation once and for all! You see, we women need to eat protein in different types and quantities at different times of the month! 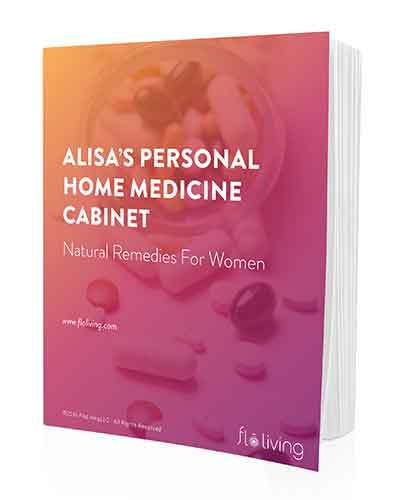 Women come to FLOliving.com after having tried being all sorts of the big diet theories for their PCOS, PMS, Fibroids, and Infertility. Often times they report that they may initially feel good, but then their symptoms come back and they don’t understand what they’re doing wrong. Ketosis Diets – high in protein, low in carbs, moderate in fats – my experience is that this feels great at first – because you feel like you’re doing the perfect ‘proper’ diet plan – and you get excited to lose weight, but then when your hormones shift mid cycle – it’s impossible to fight your carb cravings and major falling off the wagon, binge carbing ensues. Paleo – high in protein, high fat, no grains, emphasis on carb substitutes like coconut flour breads, etc – has so many great elements – eating all whole, real food – love all the gluten free baking options! Super high calorie, and all the fat and protein becomes challenging to break down in parts of the cycle where estrogen is peaking. Vegan/Macrobiotic – high grain, low protein, moderate fats, high legumes. Great for cleaning up house internally – decreasing inflammation all around. But the glycemic impact and lack of amino acids can be problematic for hormonal conditions. Fundamentally, what’s wrong here is that none of these diets fluctuate based on your hormonal patterns. You see, you’re supposed to eat their way daily without any regard for the fact that you have different nutritional, digestive, micronutrient, and hormonal needs each week of the month. When it comes to protein, the best way that I have found is to base it on where you are in the cycle. So you get the best of all of the diet configurations but you keep your hormones at the center of your food choices. Random Fun Fact: I’m completely obsessed with wartime England and their national food program. It was developed because people got so sick left on their own during the first world war that the government wanted to ensure a healthier population and workforce for the second. They were meticulous in their research on the most appropriate balance of nutrition for everyone. During World War II, as I’m sure you know, food was rationed within the UK. The people who ate this limited diet ended up being the healthiest population to ever live in the country. That generation went on the live far longer than previous and future generations. One of the cornerstones of this diet was the small amount of protein that was available on a weekly basis. The rations included just one real egg per week, but powdered egg every morning. There would be fish, some liver, and some tongue for animal protein. Then there were highly coveted, very limited good fats in good quality lard or butter. But the bulk of the rations were made up of barley, oats and whole wheat, root vegetables of all kinds, and hearty leafy greens. It was primarily a vegetarian diet. The following generation launched into processed food consumption and precipitously suffered greatly from a diet of processed food and increasing amounts of protein. As outlined by Blue Zones one of the common denominators between populations with longevity around the world is the consumption of eggs. People who live good long lives tend to be eating a good lot of eggs. That’s because eggs are the most easily assimilated bio-available protein source. This means they’re a great source of protein for every body! Watch this story of Ernestine Shepard, 77, the oldest female body builder and how many eggs she eats a day! Despite the myths we hear, eggs do not cause high cholesterol. It’s actually sugar that does that. The high quality fat in an egg actually protects you from heart health problems. A two whole egg omelette or scramble a couple of times per week will give you a sufficient amount of protein. Make sure to put that good protein to work. Excess consumption of protein does eventually convert into sugars – so make sure you exercise to get the most benefit from your protein. Pea protein – this is a complete protein that provides all of the amino acids you need. Other plant proteins do not supply the complete set of amino acids. Pea protein can keep you feeling fuller for longer and give you a boost of energy for workouts. Sacha Inchi – this plant grows in the Amazon rainforests in Peru and is rich in not only protein but also Omega-3 fatty acids (important if you don’t eat fish or eggs). Also known as the mountain peanut, it can be eaten as a snack or used in oil form on salads. Hemp protein – another great source of amino acids and omegas and fiber! What about RICE, WHEY, and SOY protein powder? I don’t recommend these ever as so many women are lactose intolerant estrogen dominant, and hypoglycemic and with these protein powder options that can make your symptoms worse. First, what’s your favorite protein source? Which one didn’t work for you? Second, what are your favorite ways to eat eggs? Share your recipes with us! I started to REALLY up my egg consumption and last year and was worried about my cholesterol because I too was concerned about the “myth”.. I had it tested and it had gone from 152 (already good) to 138. I am not worried about it anymore! My favorite egg recipe is egg cups: http://www.manilaspoon.com/2012/08/spinach-quiche-cups.html If you search for paleo egg cups, you can easily find a cheese free version, or a version with meat — it’s very versatile. I love making a couple pan fulls on Sunday evening to have easy breakfast for the week. Interesting article. You mentioned eating eggs, fish, vegan sources of protein during the first half of the month, and then poultry, bison and lamb in the second half of the month. Could you please explain this a bit further? What are the first providing in the first half of the month and what are the second ones providing in the second half of the month? I have not had my period for 8 months now apart from a slight spotting about 4 months ago after an acupuncture session. I have been vegan for about a year but occasionally eat fish – I have been in a high stress job and been moving round quite a lot also – plus I suffer from anxiety on and off so I think that may have something to do with it?.. My gyno said that I had small cysts on my left ovary also but nothing to worry about .. Any advise would be wonderful ! When you say “vegan, fish, egg proteins first half of month, poultry, bison, lamb second half of the month”, is the first half of the month when menstruation begins? Wow! What interesting information about coordinating protein choices with your cycle. I’m wondering about those of us that no longer have a cycle. Would it be supportive to vary proteins over the month in this kind of pattern for post-menopausal women? First excuse my bad english. I am german and love your work. But: I am already 60. Can you please also post something for us beyond the climax??? I see that non soy legumes aren’t mentioned…are they okay to eat on the first half of the cycle? Is grass fed dairy always a no no? Thanks for the answers, your resource here is great. Thank you so much for this article. I really like your eating plan that aligns with monthly cycles. However, in my case, my cycles are so irregular that I can’t discern when to eat what type of protein. Do you have any suggestions with women with highly irregular cycles? Random question about spinach, raw or cooked: I don’t see it on the four week greens list from last month. What are Flo Living’s thoughts on spinach? Your Ketosis Diet description is incorrect. It is high fat, low carbs, and moderate protein. High fat is in fact what sets of apart. Eating too much protein on this diet actually throws you out of Ketosis because excess protein converts to glucose. Yes, I was going to post the same. The Keto diet has been the only one to give me a period, improve my PCOS and overall health. It is indeed high fat, low carb and moderate protein. I personally eat a lot of greens and veggies. No processed meats, no dairy. My meals would be a large salad bowl full of greens, veggies, and a handful of chicken, avocado oil and less than a handful of nuts, seeds and berries. I am new on here and I am 50. I found out I have one fibroid about 15cm now. So with that I carry the guilt and trying to at this point learn that I have to be patient and go fm here. In the meantime this stress is causing for my uterine fibroid to grow cause I can feel the right side of my abdomen lower back hurting really bad. So the tumor must be hitting something in that area. I can feel the tumor being much bigger the last few months so I know that the stress is doing this to me. I have been maintaining it all these years and no pain …..so I no am revisiting foods I can /can not eat that is aiding the tumor. It is so contradicting cause I see you can eat all these wonderful fruits/veggies that are so good for you but then it is estrogen in it. I don’t eat much meat so I have been eating lots of beans/love my Hemp seeds for protein and HUMMUS which I see is bad for estrogen dominance cases. What is a girl to eat if not eating meat to get all the needed nutrients/vitamins/protein to be healthy!!!! Everything I turn to or eating now is BAD for my uterine tumor!!! I need good food that helps shrink the darn fibroid!!!! so now I am seeing that more then 1/2 of these things even though good are bad for those who has uterine fibroids!!! so what….just drink WATER and eat brocolling and cabbage which I keep seeing is good///DIM . so I know it is not junk email. Only email me if you have UTERINE tumor the size of 9cm or larger and have done something naturally by eating to help shrink it. Because I keep seeing that if you have a tumor this big…the way to do it is surgically remove it. Small ones can be helped but big ones like my 12+ cm is not possible to shrink naturally on diet. So if you know someone and yourself got rid of yours…please help me, please. I am trying to lower my stress as it has only been a couple of months since my sweet dog went to heaven. I know it will take time….so I am dealing with the stress part as best as I can. Right now since I am at the period I can collect my thoughts….I am my dog’s advocate and now can collect my thoughts and move. I have gotten my mind clear now and need to take care of me as I can feel the ache fm this big tumor being aggravated with all the cortisols being release fm the stress load. You are amazing and a role model for me. Could you please explain what is hemp, how and where to use it? I’m confused… vegan, fish and eggs 1st half of cycle and poultry, bison and lamb the second? This conflicts with the chart in your book. I’m follicular right now and just bought a bunch of organic pastured chicken… should I cook it up for this week or freeze it for luteal?